Morecambe Bay offers something really special when it comes to the great outdoors. 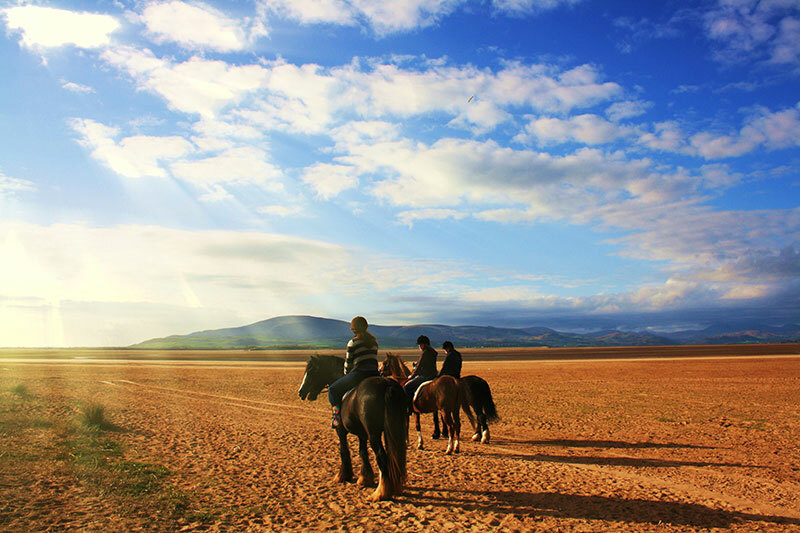 Not only is it a a great place to experience amazing sunsets and to discover natural landscapes, but also one of the best places to take advantage of some high adrenalin outdoor activities, in an outstanding environment. 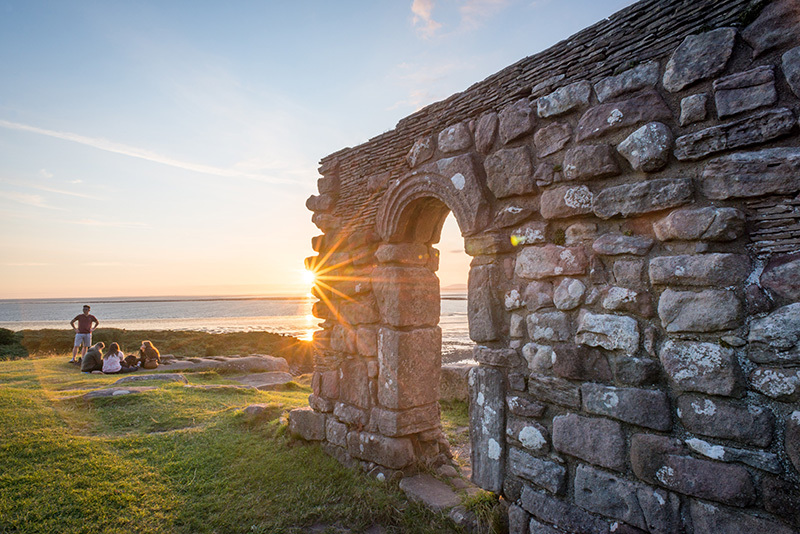 Morecambe Bay has some of the most beautiful coastline in the UK, which can be enjoyed on one of the many long distance walking and cycling routes that begin in the Bay area. These include the Way of the Roses (a long distance cycle route from Morecambe Bay to Bridlington Bay), as well as the Lancashire Coastal Way. 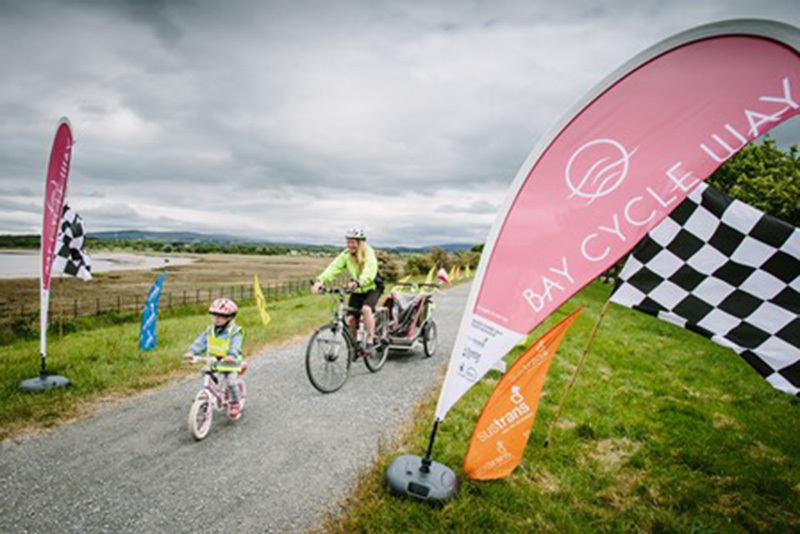 If you are looking for something more tranquil, then there is nothing more satisfying than a bike ride along Morecambe Promenade, or on one of the Cycle and See routes within Arnside and Silverdale Area of Outstanding Natural Beauty. So, what can you expect to see and do outdoors around Morecambe Bay? Starting at the northern end of the Bay, you will find North Walney near Barrow-in-Furness, one of the best coastal nature reserves in the country, for a real wilderness, in a predominantly industrial setting, you will be amazed at the spectacular views and some of the wildlife you might encounter. The reserve’s most famous resident is the noisy natterjack toad. One of the UK’s rarest amphibians, only found at around 40 sites in England. The Furness Peninsula, with the Duddon Estuary on one side and Morecambe Bay on the other, is capped by Walney Island – a curving ‘whale tail’ that has protected Barrow from the sea for centuries. The energy of the tides, winds and waves is constantly re-moulding the headlands of Walney Island, Sandscale Haws and Foulney Island, creating dynamic habitats of shifting sands and shingle banks that are colonised by specialised communities of plants, birds and animals. The Cumbria Way is a linear long distance footpath in Cumbria passing through the towns of Coniston and Keswick in a northward direction. This 112 km route through the heart of the Lake District National Park links the two historic Cumbrian towns of Ulverston and Carlisle. The route cuts through classic Lakeland country, via Coniston, Lansdale, Borrowdale, Derwentwater, Skiddaw Forest and Caldbeck. Whilst it is a primarily low-level long distance footpath, it does contain some high-level exposed sections. The Cartmel Peninsula has an extensive network of public footpaths and peaceful lanes that are ideal for walking and cycling. Many have been incorporated into popular long distance walks, such as the Cumbria Way and Cistercian Way, but others are relatively undiscovered byways inviting exploration on foot or by bicycle. As you arrive around the Bay area close to Grange-Over-Sands, you will discover the nature reserves of Humphrey Head, Brown Robin Eggerslack Wood and finally, Roudsea Wood and Mosses, with several beautiful walks, combining natural landscape formations and a variety of interesting wildlife. Grange-Over-Sands itself has a delightful promenade that offers a traffic-free walk for 1½ miles along the shore of the bay from the railway station towards Kent’s Bank, with telescopic sights at intervals. The walk can be accessed from Grange railway station, or via an underpass at Main Street car park. Why not walk The Furness Way, which meanders 75 miles from Arnside on the eastern side of Morecambe Bay to Ravenglass on the Irish Sea, passing through Lindale, Cartmel and Haverthwaite. Birkrigg Common is bracken-covered and sheep-grazed limestone upland to the south of Ulverston. Remains of ancient settlements, tumuli and a double stone circle known as the Druid’s Temple testify to the occupation of Neolithic and Bronze Age peoples in this area. As we move around the Bay we arrive at Warton Crag, a prominent limestone outcrop of a very high quality and national importance, which stands sentinel over the village. There are several routes to the top, some from a tiny quarry at the bottom of Crag road, with stunning views to be had at the summit. Warton Crag is the perfect place to take the children, for a really enjoyable outdoor experience! Taking part in a Cross Bay Walk is a must for visitors and an exceptional way to enjoy the stunning beauty of Morecambe Bay. Crossing the sands with an experienced and knowledgeable guide is the only way to traverse the ever-changing flats and channels. Cross Bay Walks are internationally renowned for their historic value and people have been crossing the sands with a royally-appointed guide since the 1500s – as well as their unique scenery and wildlife. And if you prefer to be on the water, then Morecambe Bay is a wonderful adventure playground for those of you looking for a challenging sailing experience, book a Fun Sail if you want to see what it’s like. Escape for a few hours to catch the wind in the sails either in a dinghy, or on a windsurfer. The beach in Morecambe holds a special place in most holiday memories and, following years of coastal investment, Morecambe is proud of its new glistening golden sands and 5-mile stretch of level promenade, adorned with a host of innovative bird sculptures and public artworks. become a place of fun and artistic beauty, boasting seabird themed pavement games, tongue-twisters and striking public artwork. The trail extends towards the Festival Market where you can follow a path made up of poems, jokes and quotes by famous authors, musicians, entertainers and artists. The Jetty is also the perfect place to witness stunning silhouettes of the Lakeland Hills, which provide the backdrop to the glorious sunsets for which Morecambe is so celebrated. is a pavilion style building, sat on ‘a mount’ on The Esplanade on Fleetwood seafront. It guards over Fleetwood today, as it has done for over 100 years, much like the original building did which once stood there when the new town of Fleetwood was first built in the early 1800’s. Back on terra firma and almost around the Southern end of Morecambe Bay, we reach the award winning Wyre Estuary Country Park, offering year-round activities and events for all the family including ranger-led walks, environmentally themed activities and annual events like the Family Sculpture Day. An innovative children’s play area provides children with a great opportunity to enjoy natural play and have fun in the park. Visitors to the park can also enjoy a walk along the network of accessible paths by the breathtaking Wyre Estuary. The banks of the River Wyre are also quite accessible, where you’ll find bits of shipwrecked boats. Be careful, but have fun, imagining the past & what adventures might have taken place here! is at the back of Marine Hall, Fleetwood, where you can enjoy good old fashioned British seaside. Sandy beaches run up to the seafront pathway, backed by pretty, permanent beach huts painted in pastel colours. Here you’ll find families and children playing and enjoying the fresh air and seaside, using the beach side huts as somewhere to escape the inclement weather, or to savour some tea and sandwiches.